Professor Taylor leads the Indigenous Eye Health Unit at The University of Melbourne. 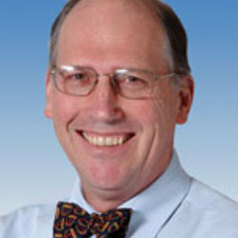 Before taking up this appointment at the beginning of 2008, he was the Professor of Ophthalmology and Head of Department at The University of Melbourne from 1990 until 2007, and the Managing Director of the Centre for Eye Research Australia which he founded in 1996. Hugh is a passionate advocate for Indigenous health and is committed to the elimination of trachoma. His research focuses on blindness prevention strategies, infectious causes of blindness and the intersection between medicine, public health and health economics. Hugh has written many books and peer-reviewed papers and chaired or served on many national and international advisory committees and board involved in eye health. He has received many awards for his work in ophthalmology. In 2001 he was made a Companion in the Order of Australia for his contributions to the prevention of river blindness, to academia through research and education related to the prevention of eye disease, and to eye health in Indigenous communities.